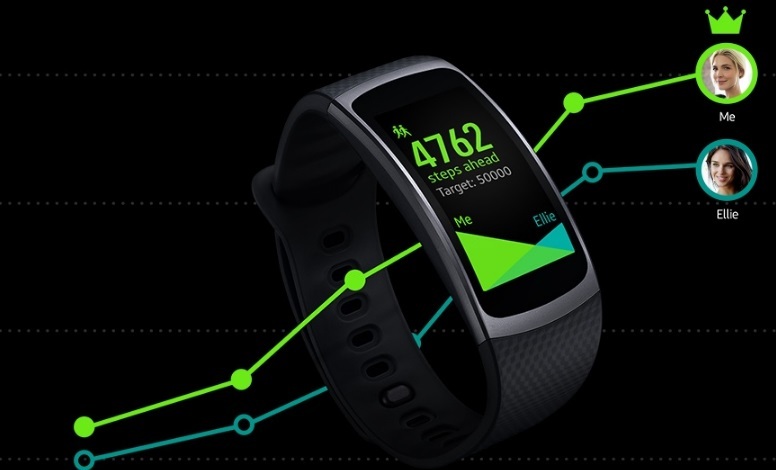 Samsung SM R3600 Gear Fit2 keeps a tab on your heart rate and calculates your workout activity in real time. It has GPS, HR, accelerometer, gyro, and barometer sensors incorporated into it. This wristband by Samsung is equipped with a 200mAh battery that keeps it operational for a long time in between charges. Moreover, it is IP68 rated, which makes it water resistant. So, you can wear this wristband during the rains, or even while swimming. 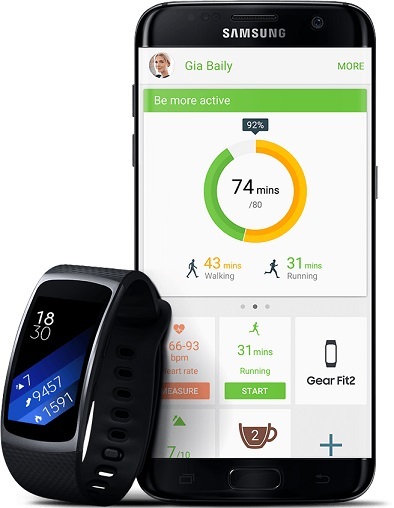 Gear Fit 2 Get the most out of every workout with Gear Fit2's highly accurate heart rate monitor It Gear Fit2 is a built in heart rate sensor that keeps a track of your pulse automatically detects your heart rate when still and delivers accurate and detailed results every time. 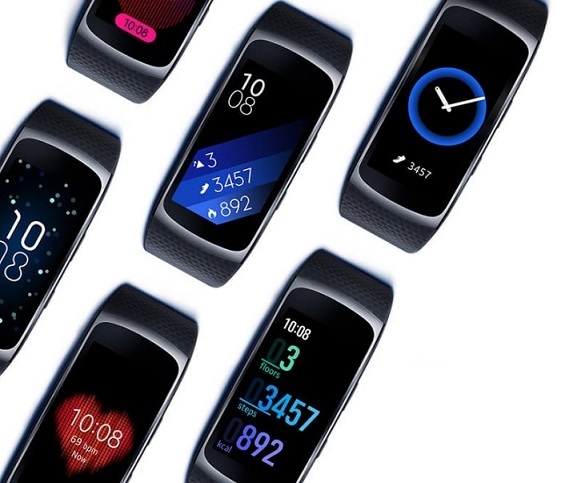 Samsung SM R3600 Gear Fit2 Get the right kind of stats right away with auto activity tracking There's no need to tell your Gear Fit2 whether you're walking or on the rowing machine. It just knows. It then informs you about the distance and speed covered to a number of calories burned. The screen provides real time data and lets you view everything without having to sync up with an app on your phone. Samsung SM R3600 Gear Fit2 features Super AMOLED 1.5inch display is conveniently large enough so you can quickly check your stats mid-workout, without ever missing a beat. The display curves elegantly to sit comfortably on your wrist and looks incredibly slick in appearance. It has less of a bezel around, thus making it look like an edge to edge screen. Furthermore, the Fit2 operates on Tizen OS, which makes the device more capable than its predecessor. Set your goals, then give yourself an extra push by getting your friends in on the fun with S Health. Check leaderboards, challenge each other to step competitions, and share workout results with just the touch of a button. 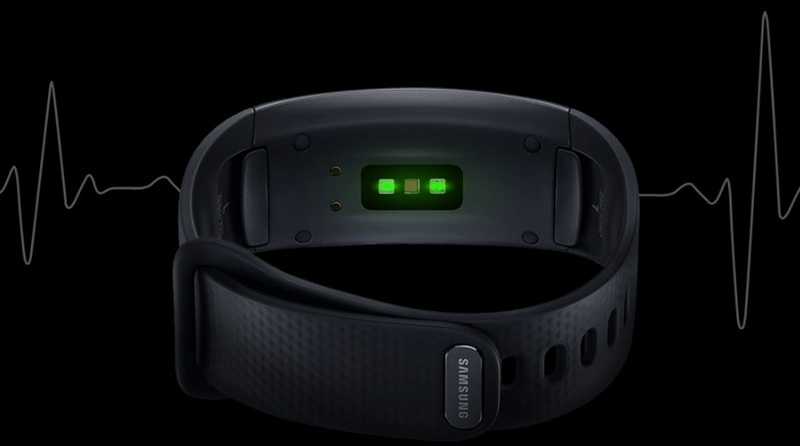 Samsung SM R3600 Gear Fit2 reviews, this fitness band has built in GPS that tracks your running route, speed, and distance in real time with precision and dedication, allowing you to push yourself to the limit and go farther. It also incorporates a heart rate monitor that calculates your heart beat to help you keep a track on the intensity of your exercise.